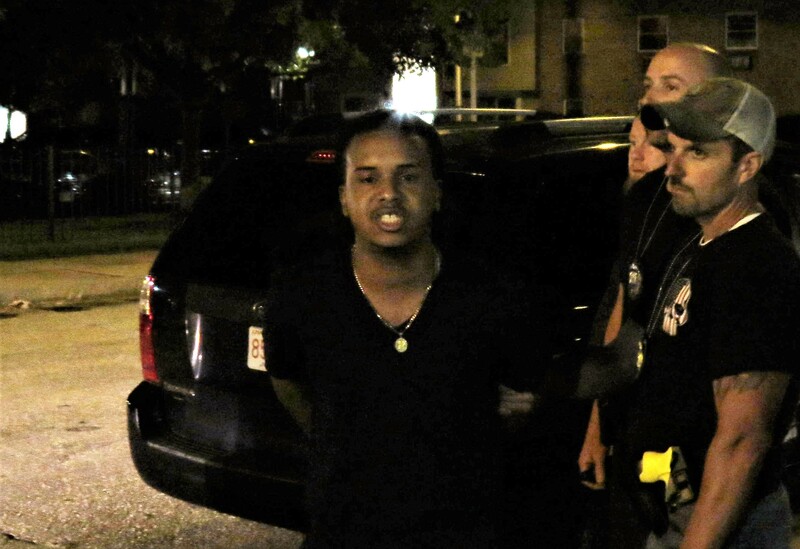 Lawrence Police and the State Police Gang Unit arrested a known gang member on Chestnut St. in Lawrence last night for the second time in a week. The combined task force stopped and arrested Yordali Yorro Thursday night for trespassing on Chestnut Street. Yorro was freed by a Lawrence District Court judge on illegal firearms possession less than a week earlier. Yorro politely protested his arrest saying he was being harassed by police and that he was visiting his daughter. The mother of Yorro’s daughter was on the scene and told The Valley Patriot that Yorro wasn’t doing anything wrong and that there was no written order banning Yorro from the property. “How can I be arrested for trespassing without a written order?” he asked police. “All I want to do is see my daughter,” he said multiple times. Yorro was cooperative and did not resist arrest. Lawrence Police and the Massachusetts State Police Gang Unit told Yorro that he was warned by property management to stay off the property after he was arrested last week on firearms charges. Police reports obtained by The Valley Patriot show that on September 8th, Yorro was illegally in possession of a 9.mm Ruger with seven hollow-point bullets in the clip, as well as one hollow-point bullet loaded into the chamber. Yorro did not have a license to carry. *Hollow-point bullets are designed to expand once hitting someone’s body to create as much damage as possible. One police report detailed how the previous arrest on Sept. 8th took place. The report also states that one of the Lawrence Police Detectives recognized Yorro as a known gang member and warned fellow officers that he was “known to carry a firearm”. State troopers patted down Yorro and discovered the 9.mm Ruger. Police report that the gun was not stolen and the suspect was cooperative. Especially when those “cop killers” are being stored in a clip. If the gun wasn’t stolen and he didn’t have a CCW , who’s gun was it? Why wasn’t that person contacted by police? I thought ( laughing loudly to myself) that we had rules for those who carry a gun illegally ? NOT ! Did someone repeal the Bartley-Fox Act while I was out of State? I was only gone for 3 weeks.